In the very near future, robots are going to be picking the vegetables that appear on grocery store shelves across America. The automation revolution that’s arrived on the factory floor will make its way to the ag industry in the U.S. and its first stop will likely be the indoor farms that are now dotting the U.S. Leading the charge in this robot revolution will be companies like Root AI, a young startup which has just raised $2.3 million to bring its first line of robotic harvesting and farm optimization technologies to market. Root AI is focused on the 2.3 million square feet of indoor farms that currently exist in the world and is hoping to expand as the number of farms cultivating crops indoors increases. Some estimates from analysis firms like Agrilyst put the planned expansions in indoor farming at around 22 million square feet (much of that in the U.S.). While that only amounts to roughly 505 acres of land — a fraction of the 900 million acres of farmland that’s currently cultivated in the U.S. — those indoor farms offer huge yield advantages over traditional farms with a much lower footprint in terms of resources used. The average yield per acre in indoor farms for vine crops like tomatoes, and leafy greens, is over ten times higher than outdoor farms. Root AI’s executive team thinks their company can bring those yields even higher. 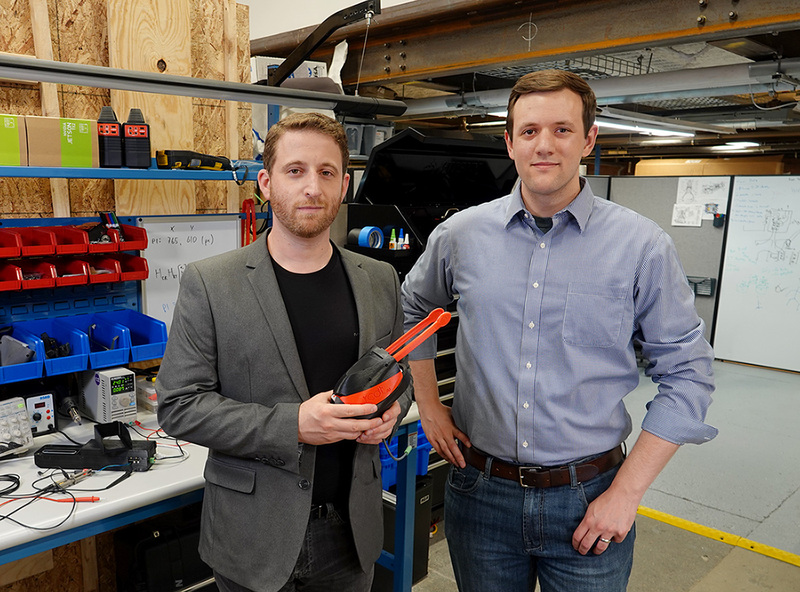 Founded by two rising stars of the robotics industry, the 36 year old Josh Lessing and 28 year old Ryan Knopf, Root is an extension of work the two men had done as early employees at Soft Robotics, the company pioneering new technologies for robotic handling. Spun out of research conducted by Harvard professor George Whiteside, the team at Soft Robotics was primarily comprised of technologists who had spent years developing robots after having no formal training in robot development. Knopf, a lifetime roboticist who studied at the University of Pennsylvania was one of the sole employees with a traditional robotics background. It was radically different from the ways in which other robotics companies were approaching the very tricky problem of replicating the dexterity of the human hand. “From the perspective of conventional robotics, we were doing everything wrong and we would never be able to do what a conventional robot was capable of. We ended up creating adaptive gripping with these new constructs,” Lessing said. The first product from Root AI is a mobile robot that operates in indoor farming facilities. It picks tomatoes and is able to look at crops and assess their health, and conduct simple operations like pruning vines and observing and controlling ripening profiles so that the robot can cultivate crops (initially tomatoes) continuously and more effectively than people. Root AI’s robots have multiple cameras (one on the arm of the robot itself, the “tool’s” view, and one sitting to the side of the robot with a fixed reference frame) to collect both color images and 3D depth information. The company has also developed a customized convolutional neural network to detect objects of interest and label them with bounding boxes. Beyond the location of the fruit, Root AI uses other, proprietary, vision processing techniques to measure properties of fruit (like ripeness, size, and quality grading). All of this is done on the robot, without relying on remote access to a data-center. And it’s all done in real time. Tools like these robots are increasingly helpful, as the founders of Root note, because there’s an increasing labor shortage for both indoor and outdoor farming in the U.S. Meanwhile, the mounting pressures on the farm industry increasingly make robotically assisted indoor farming a more viable option for production. Continuing population growth and the reduction of arable land resulting from climate change mean that indoor farms, which can produce as much as twenty times as much fruit and vegetables per square foot while using up to 90% less water become extremely attractive. That ability to pare down complexity and cost in a logistics supply chain is a boon to retailers like Walmart and Whole Foods that are competing to provide fresher, longer lasting produce to consumers, Lessing said. Investors, apparently agreed. Root AI was able to enlist firms like First Round Capital. Accomplice, Schematic Ventures, Liquid2 Ventures and Half Court Ventures to back its $2.3 million round. And as global warming intensifies pressures on food production, Lessing sees demand for his technologies growing.